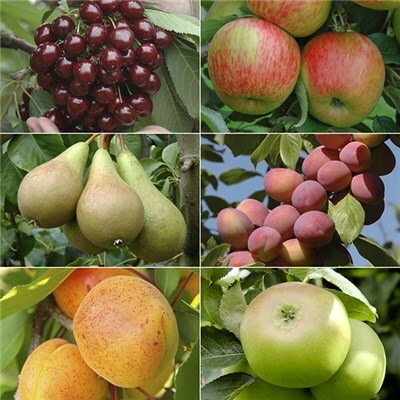 An absolutely cracking collection of fruit trees to make your own mini orchard! Now you too can pick crops of premium variety eating apples, cherries, apricots, pears and plums direct from your very own ‘Mini-Orchard’ - from as early as next summer! At just a fraction of normal prices, our "commercial grower" quality trees are supplied bare root and are ready to plant now - quickly establishing and cropping exceedingly well. Their ‘dwarf’ roots restrict height, so you can pick your crops with no need for ladders! All are self-fertile, so your crops are guaranteed and all they need is a small sunny space in your garden, patio pots, or even a balcony. 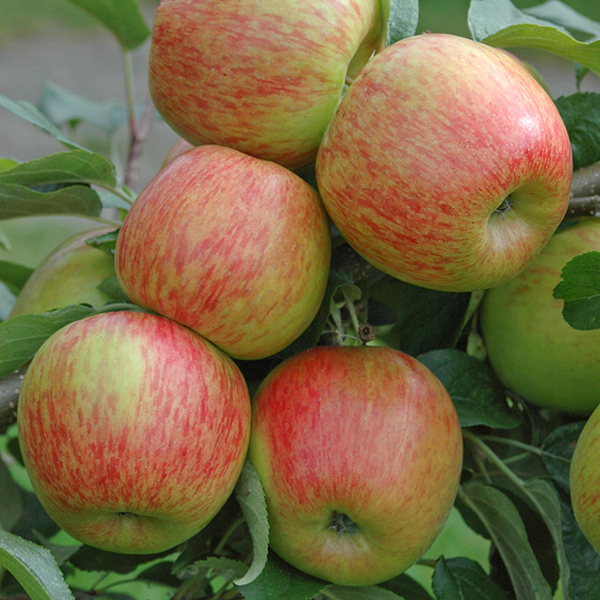 The UK's most popular eating apple variety by far that will easily grow and flourish in your garden! Gorgeous fruit will be ready to pick fresh from your tree by mid-October each season. Will grow to approx. 2m (6-7 ft) in 10 years. 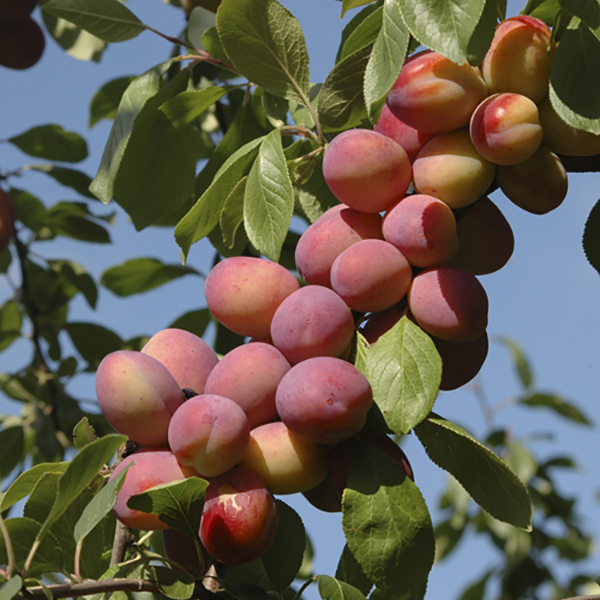 Britain's best-loved and most popular award-winning garden plum variety. Sumptuous yellow-fleshed red-skinned fruits in late Summer, heavy crops once established. Grows to no more than 3.5-4m (11-12ft) tall. 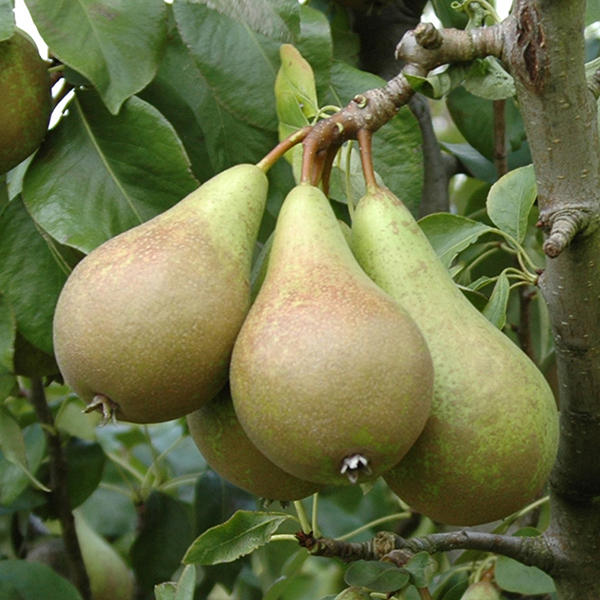 Britain's best-loved and most recognised Pear fruit tree variety, well suited to UK growing. Easy to grow for fresh, juicy pears in September and October, without needing much space. Grows 3-3.5m (10-11ft) in around 10 years. 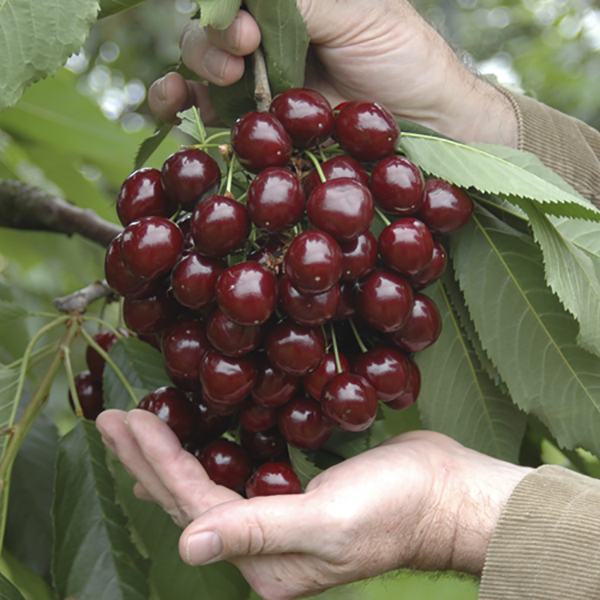 If you only have space to grow one fruit tree, grow this one and get lovely blossom and sweet juicy cherries. Considered the King of Cooking Apples by respected chefs and professional fruit growers! Bramley is a heavy cropper once established with high quality fruits that last well when stored. 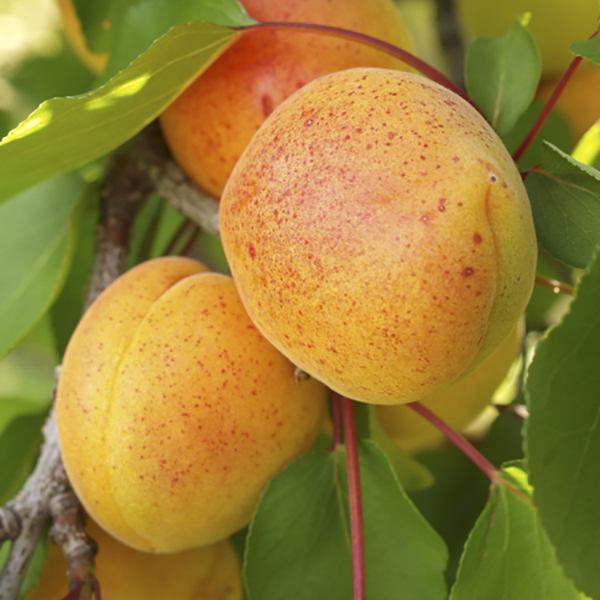 An apricot tree that will grow and thrive in UK conditions, cropping reliably year after year and producing deliciously flavoured, aromatic bright yellow fruits. The fragrant light-pink blossom appears in early spring before the leaves start growing, making a beautiful display. Height/Spread: Will grow to approx. 2-4m (6-12 ft) depending on variety in 10 years.